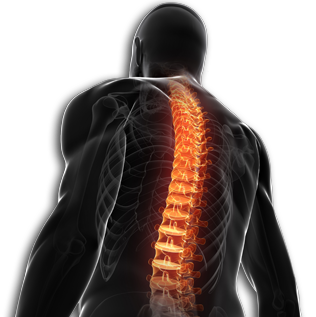 Copley Chiropractic Clinic is dedicated to giving you the finest care at affordable prices. We are a family practice treating expectant mothers, infants, children, teenagers, adults, and seniors. Our trained staff is eager to help you get back on the road to wellness. Dr. Richard A. Arny, D.C., C.C.S.P. Dr. Richard Arny was raised in Barberton, Ohio. He attended Anderson University in Anderson, Indiana where he received his Bachelor of Arts Degree. He spent three years in the United States Army where he obtained his R.T. registered x-ray technician degree. After the military he attended National College of Chiropractic in Lombard, Illinois. There he received his Bachelors of Science degree and his Doctor of Chiropractic. He has also done post graduate work and obtained his CCSP (Certified Chiropractic Sports Physician). He has been in practice since 1976 and began Copley Chiropractic Clinic in 1980. On the personal side he is married to wife, Billie, for over 40 years and has raised three children and now has 10 grandchildren. He is also involved in Norton Kiwanis, Copley Chamber of Commerce, several professional organizations, and attends church with his wife at Community Church of Portage Lakes. Dr. Curtis J. Arny, D.C., D.A.C.R.B. Dr. Curtis Arny is a native of Northeast Ohio. He attended Baldwin-Wallace College in Berea, Ohio and later the National College of Chiropractic outside of Chicago, Illinois. Dr. Arny received a Bachelors of Science degree in human biology and Doctor of Chiropractic degree from the National College of Chiropractic where he graduated in 2000. Since graduation in 2000 Dr. Arny has obtained Diplomate status through the American Chiropractic Rehabilitation Board. Additional certification includes Manipulation Under Anesthesia for chronic neck, low back and extremity injuries which he performs at Lutheran Hospital where Dr. Arny has hospital privileges. Aside from the clinic, Dr. Arny enjoys spending time with his family; Carolyn, his wife of 15 years, and their five children; Skyler, Taya, Mya, Sawyer, and Kavian. They reside in Green and enjoy spending time at home, with friends and family. They also enjoy golfing, swimming, hiking, and going to the movies. The Arny family are members of The Chapel in Akron.